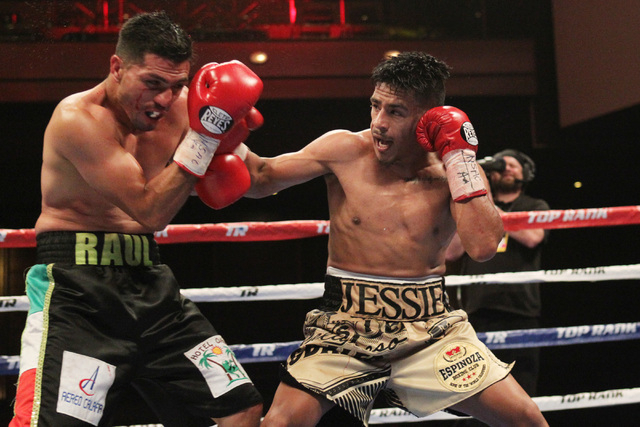 Home Boxing Jessie Magdaleno: "it won’t go past eight rounds"
Jessie Magdaleno: "it won’t go past eight rounds"
Jessie Magdaleno is set to face the current WBO superbantamweight champion Nonito Donaire, Jr. on November 5, 2016 in Pacquiao-Vargas undercard. Magdaleno is very confident that he can beat the 4 division world champion. He is ready and he is working hard for this fight. Donaire however, still believed that he can defend his title against the Mexican-American boxer. Donaire also has the plan to go back in the featherweight division where he can fight Carl Frampton or Leo Santa Cruz possible next year.